As parents, we all know the importance of the Birthday Party. Every kid wants the biggest extravaganza possible, and there’s a lot of competition that goes on between classmates – if Matt had a pirate-themed pool party with inflatable assault courses and McDonalds Happy Meals for everyone afterwards, that is exactly what your little one may want too. Unfortunately, most of us moms and dads simply don’t have the budget for this. But how do you hold an amazing party for your child that won’t break the bank, but will be a great experience for all who attend? Easily done with these five frugal birthday party tips! Holding a joint party with one of your child’s close friends is a great way to halve the cost of a party for both families. As long as the birthdays are in the same month, you shouldn’t have a problem organizing the date. It’s important that you work out a few ground rules and a budget early on to keep everyone happy. Make sure that you get together with your little ones for an extensive planning session to decide on themes, location, invites, guest list, food and decorations, and avoid doing it over the phone or internet as it makes it difficult to resolve any issues that might arise. As all parents know, kids can be pretty fickle with friendship, so make sure the two have been friends for a while and try to keep relations sweet! Bowling alleys, swimming pools and soft play centres all seem to have good set party deals as they are advertised per person, but can often end up being quite expensive for just 10 children– and you can guarantee that your little one will want their entire class to come! Holding your party in your home allows you to save significant amounts of money on food, activities and decorations. Making your own decorations means that you have a fun craft project to do with your child, and it gets them even more excited about their birthday (make sure they don’t consume any sugar or caffeinated beverages in the week before otherwise they’ll be bouncing off the walls!). Try making tissue paper flowers, lengths of paper chains using a pack of brightly colored paper, or zig-zag streamers by cutting a sheet of colored paper in half, and then on the long sides, cut every 1in on opposite sides, making sure you cut until there’s about a 1in gap left at the end. Then stick together and hang! Forget about using a catering company, as it’s exceptionally easy to create a great party food spread with minimal funds. Sandwiches with simple fillings always go down well, as stick to sausage rolls, cocktail sausages, cheese and pineapple on cocktail sticks, lots of chips, fruit and jelly and ice cream. Up the health factor with cherry tomatoes, grapes and carrot and celery sticks with dips, but don’t expect them to go as fast as the junk food! To avoid spending $20 on a birthday cake, simply bake a batch of cup cakes and ice with “Happy Birthday (insert name here)”, a letter per cake – and then you won’t have to spend an hour cutting cake into fingers and wrapping it up to go in party bags. Among frugal birthday party tips, making your own food is not only a money saver, it also ensures you know what is in the food for kids that may have allergies. Don’t worry about the activities too much, and forget about hiring expensive entertainment, as kids will more often than not just go off and do their own thing. If it’s warm weather, just make sure there’s plenty of outdoor toys and activities available – footballs, trampoline, paddling pool, ball games – and let ‘em loose in your back garden. If it’s not outdoor weather, then traditional party games like musical statues, sleeping lions, Simon says and pass the parcel require minimal set up and spending, can be adapted easily for your theme, and are a firm favorite for a reason! Remember to get small prizes for winners of games, such as fun-size chocolates, as little ones are used to primary school reward systems for engaging pupils, and it’ll have the same affect with their engagement in the party games. Alternatively, just crank up the kids’ music or pop on a favorite film. You may also want to check the Penny Hoarder for 100 Places That Will Give You Free Stuff on Your Birthday. Do you have any frugal birthday party tips for a fun celebration? Let us know in the comments! Guest post by Louise Blake who is a mum of one who lives with her partner – and can’t afford expensive parties! When she’s not practicing yoga moves or walking the dog, she loves to blog and share her money saving tips. Great tips. 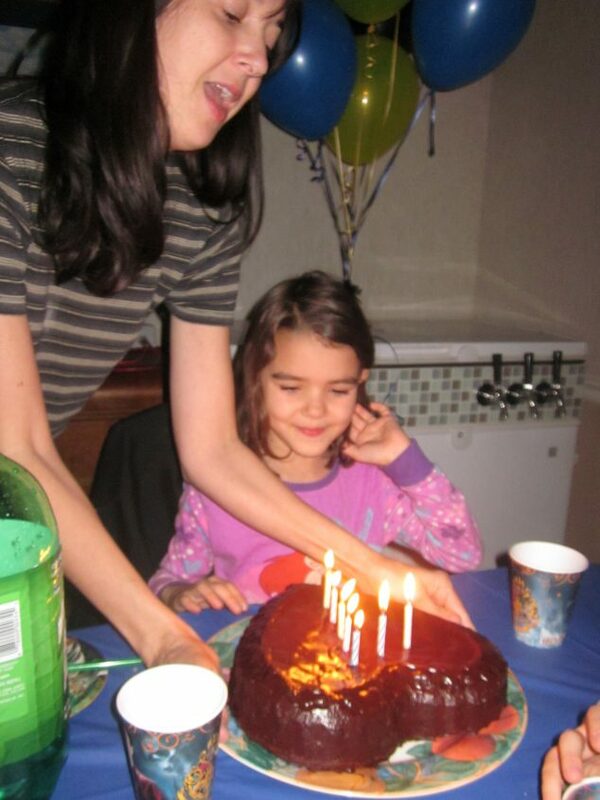 Holding birthday parties at home is good. In this way we have the freedom to decorate according to our own choice and we can save money too in this manner.